NEW Organic Olive Snack Packs from Gaea for a Healthier 2017! Introducing Gaea's NEW Organic Olive Snack Packs – an easy way to snack healthy at any time of the day! These small but mighty olives are 100% natural, contain zero additives or preservatives, provide a ton of energy AND conquer your salty cravings. So nix the bag of chips and grab an Organic Olive Snack Pack 'n go! I absolutely LOVE olives. Green or black, it doesn't matter. 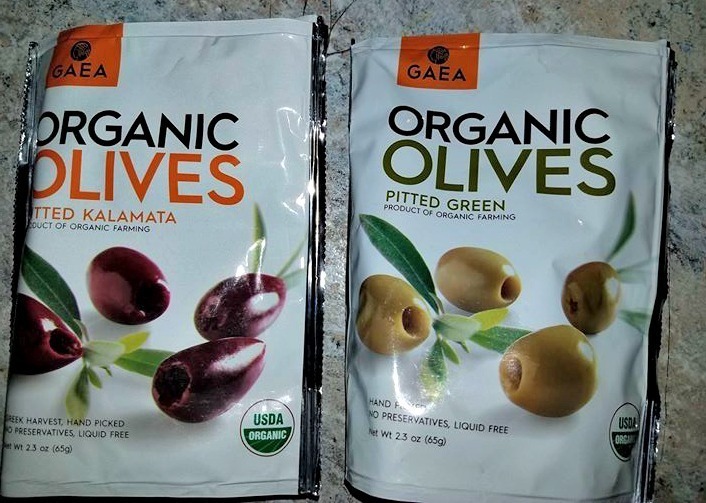 I was given the chance to review Gaea's new Organic Olive Snack Packs, and I am in olive heaven! I never really thought about olives as being a healthy snack. I have always eaten them. They were always served throughout my childhood and now as I am older, olives are a huge part of any family celebration! I could get enough of the olive platters that were always present at family get-togethers and holidays. Who knew I was doing something good for my body when I was mindlessly indulging myself on olives! Now that I have discovered Gaea's new Organic Olive Snack Packs, I will be definitely be stocking up. They are delicious! I noticed that they are a bit oily, but olive oil is good for me, so it is all good. I ate both packs in about 20 minutes while looking through my email. I didn't share with anyone! They are both very satisfying and delicious! 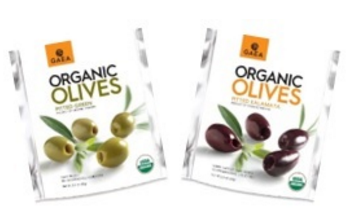 Gaea Organic Olive Snack Packs: Gaea's Organic Olive Snack Packs are a convenient way to enjoy organic olives on the go! 100% natural, containing zero additives or preservatives and very low salinity, the organic olives are packed in a handy re-sealable package, without liquid, allowing the convenience of snacking now and later. Additionally, each 2.3oz snack pack is only 80 or 140 calories– perfect for low-calorie healthy snacking! Organic olives are a source of dietary fiber and copper, rich in vitamin E and contain mono-unsaturated fatty acids and polyphenols. Full of authentic Greek flavors, delicious and the perfect healthy and low calorie snack for anytime of the day!